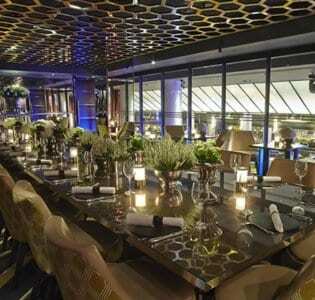 Galvin at Windows is a prestigious restaurant and bar situated on the 28th floor of London’s Hilton on Park Lane. 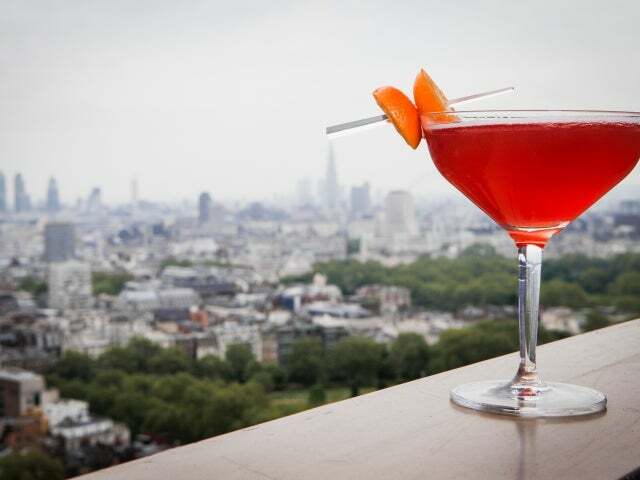 Boasting stunning views over London, you can gaze at Battersea Park, soak up Hyde Park from above, or contemplate the London Eye whilst enjoying the lavish surrounds, fancy food and delicious drinks. The bar and restaurant are for those who can and want to spend their money and attracts as many family celebrations as they do international travellers. 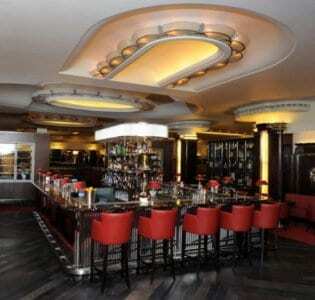 That being said the bar successfully retains an adult feel – helped by the glamorous 1930s inspired décor. Sumptuous silver-grey sofas are complemented by golden lamps and decadent wallpaper creating an atmosphere of simple sophistication. The food on offer is of extremely high quality it isn’t a Michelin star restaurant for nothing, and has a price tag to prove it. The head chef at Galvin at Windows, Joo Won, has a Korean heritage and this finds its way through to the French haute cuisine on the menu which has a focus on freshness, seasonality and expansive choice. The Degustation, or tasting menu, provides the opportunity to sample specially chosen wines with each of the seven courses which take their inspiration from contemporary French cuisine. In the bar, you could do worse than to simply choose your new favourite from their expansive whisky selection. 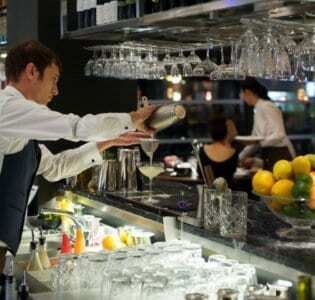 Or order an old favourite from the attentive bar staff: their Dirty Martini, is not to be missed! Alternatively dip into the cocktail menu, appropriately based on a theme of international travel. The views, the vibe and the very pricey food and drink add up to make this place a true gem. Unless you are rolling in oodles of cash, it is unlikely to become your local, but it could certainly be the cherry on the cake for your special occasion.